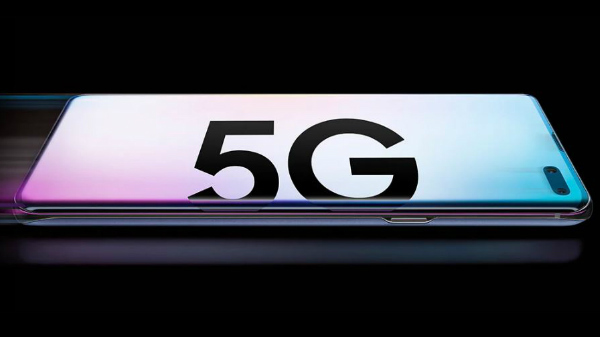 Samsung is all set to launch its first 5G smartphone, the Samsung Galaxy S10 5G on the 5th of April. 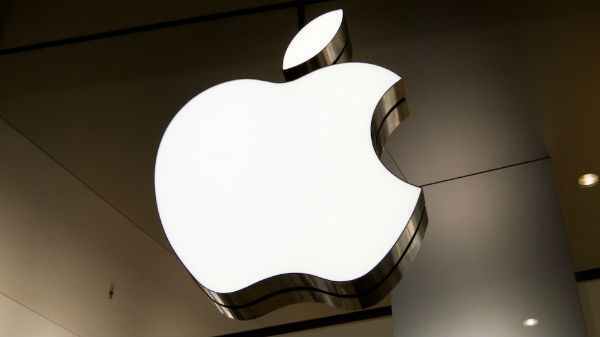 The smartphone was initially announced along with the Galaxy S10 launch, sans the pricing and the specs. Though the Samsung Galaxy S10 5G is expected to share a lot of similarities between the Galaxy S10 and the Galaxy S10 Plus, there will be some minor differences, that will differentiate the Galaxy S10 5G from the standard Galaxy S10. 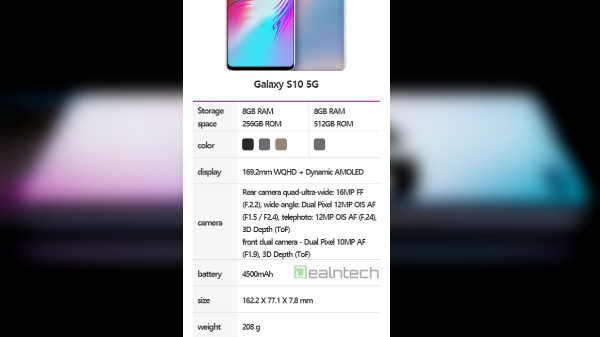 Now, a Korean tech publication named Dealntech has revealed some of the possible details about the S10 5G. According to the report, the Korean variant of the Galaxy S10 5G will have slightly different dimensions, compared to the global version of the Galaxy S10 5G. The international version measures 162.6 x 77.1 x 7.9 mm and weighs at 198 grams, whereas the Korean iteration measures 162.2 x 77.1 x 7.8 mm and weighs at 208g. In layman's terms, the Korean Galaxy S10 5G is slightly shorter and a bit heavier compared to the international version, which will launch in the US. According to the same report, the Galaxy S10 5G will be available in two storage variants (256 GB and 512 GB) with 8 GB RAM options on both the models. The smartphone has 16.2 cm display (diagonal) with WQHD resolution. The S10 5G is most likely to use an identical display as of the Galaxy S10+. At the back, the Galaxy S10 5G has four cameras with a 12 MP primary RGB sensor with a variable aperture (f/1.5 to f/2.4), a 12 MP telephoto lens with an f/2.4 aperture, a 16 MP super wide-angle lens with an f/2.2 aperture and lastly a 3D ToF depth sensor. On the front, the device has a dual camera setup, identical to the Samsung Galaxy S10+ with a 10 MP dual pixel primary camera and a 3D ToF sensor. The smartphone comes with a massive 4500 mAh battery, which is the highest capacity battery that we have seen on a Samsung flagship smartphone, and the device is most likely to support 25W fast charging via a USB type C port, and the smartphone is most likely to offer a 3.5mm headphone jack.